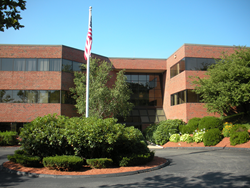 Marlborough, MA engineering consulting firm selected by 16 public water systems to conduct their surveys. Tata & Howard, Inc., a leading innovator in water, wastewater, stormwater, and environmental services engineering solutions, has been awarded 16 Drinking Water Infrastructure Needs Survey Assessments (DWINSA) by the Commonwealth of Massachusetts — Clean Water Trust and the Massachusetts Department of Environmental Protection (MassDEP). According to the MassDEP, the contracts represent the highest number awarded to any engineering consultant in the Commonwealth. DWINSA work is intended to identify capital asset needs for community water systems in the state through a DEP grant program. The following 16 public water systems selected Tata & Howard to conduct their 2015 DWINSA: Aquarion Water Company Millbury, Avon Water Department, Dighton Water District, Dudley Water Department, Edgartown Water Department, Falmouth Water Department, Halifax Water Department, Hingham/Hull Aquarion Water Company, Newton Water Department, Northampton Water Department, Pepperell DPW-Water Division, Sandwich Water District, Uxbridge DPW, Water Division, Westfield Water Department, Worcester DPW-Water Supply Division, and North Brookfield. All of the surveys require a 75% completion date by June 30, 2015. Founded in 1992, Tata & Howard, Inc. is a specialized water, wastewater, stormwater, and environmental services consulting engineering firm with offices in Massachusetts, New Hampshire, Connecticut, Maine, Vermont, and Arizona. Tata & Howard utilizes a team approach with clients to provide a full range of innovative engineering services, from concept to completion, including reports, design, construction administration, resident observation, and start-up. In addition, Tata & Howard has worked with both public and private markets to provide effective, inventive solutions. For more information, please visit http://www.tataandhoward.com.